1.5" brass controlled water softener. 14" x 65" almond fiberglass tank. 3.5 cubic feet of cation softening resin (112,000 grains). 24"x 41" brine tank includes a brine safety float valve. Rated flow rate is 32 gpm with peak flows of 44 gpm. 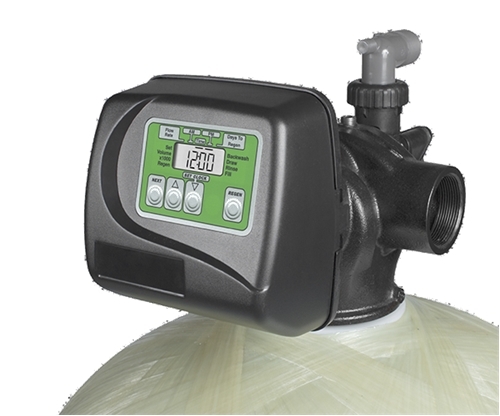 Controls and both tanks have a 5 year warranty.